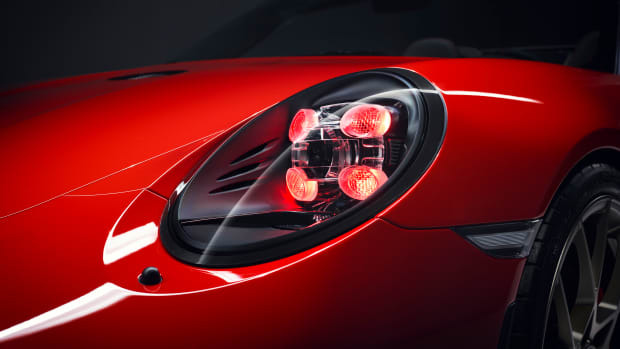 The new limited edition marks the end of the 991. 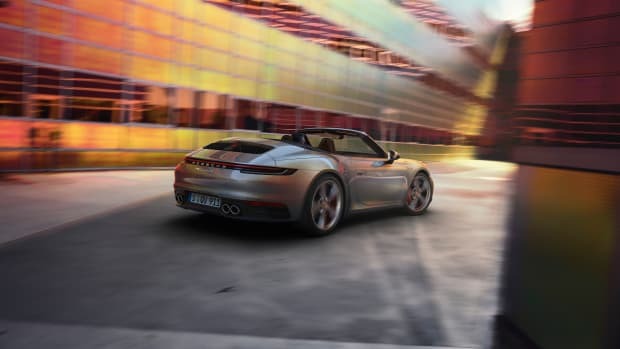 The 991 is riding into the sunset in style with a limited edition 2019 911 Speedster. Staying true to Speedsters of old, the new model features a low-cut windshield and side windows, a manually-operated fabric soft top, and the signature "double bubble" rear. Power will come from the 4.0L flat-six used in the GT3, which will produce 502 hp and 346 lb-ft of torque and to keep the purists happy, it exclusively comes with a six-speed manual transmission. Sorry, no PDK for you paddle shifter supporters out there. 0-60 will happen in 3.8 seconds and top speed has been clocked at 192 mph. 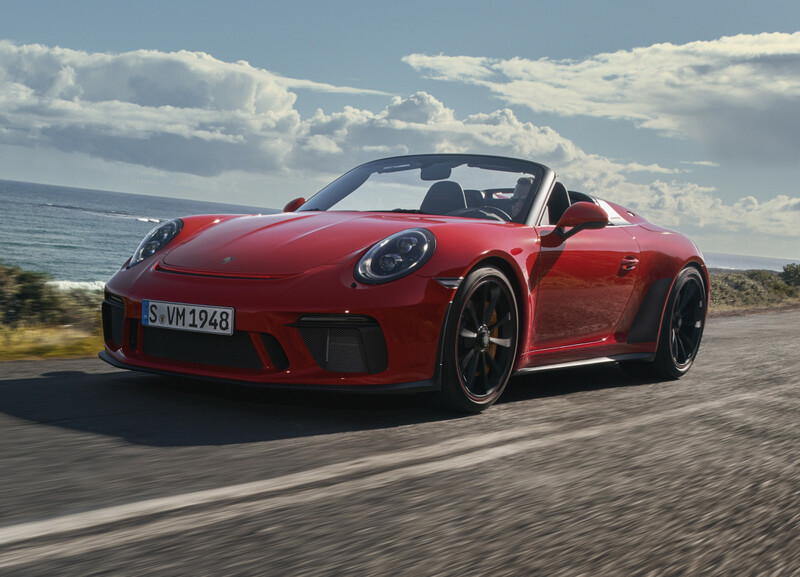 Other details include lightweight door panels with storage nets, a standard black leather interior, a carbon fiber hood, optional air conditioning, front fenders and rear decklid, Porsche Ceramic Composite Brakes, Satin Black 20-inch center lock wheels, and a GT3-derived rear axle steering system. 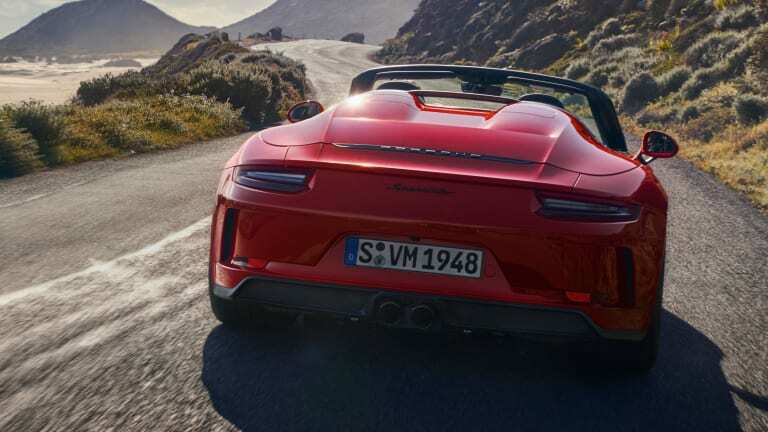 The new 911 Speedster will be available for order on May 7th and deliveries are set for later this year. 1,948 examples will be produced. 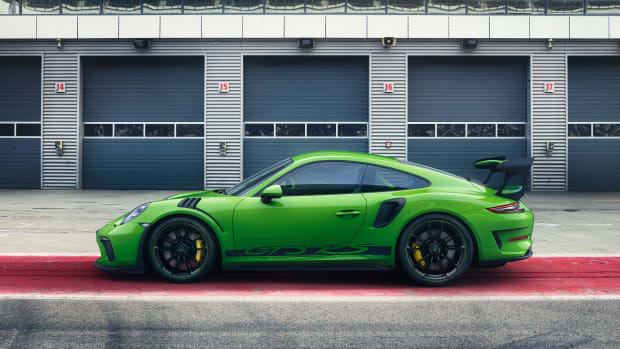 The new 2019 GT3 RS will product 520-hp 346 lb-ft of torque.